The Tirabi’s lose their parents in a car crash and strange break-ins start the same night. Could it be linked to their father’s invention of a device that converts carbon-based trash into oil? Hart loses his wife and unborn child one evening shortly after she reads a report that she was told was dangerous, his oil baron father-in-law advises him to throw himself into his work as a chemical engineer maintaining the equipment for his company, Akanabi Oil. However, it feels as if the company would do anything to maintain the fossil fuel hierarchy despite the impact it is having on the environment, can the Tirabi’s and Hart win against a monster industry? I really loved the characters in this environmental thriller, which had a touch of the supernatural thrown in to make it unique. The suspense and intrigue got me hooked early on and I found myself unable to put this down. The story is dynamic and the action heart-stopping. A unique read in this genre that I heartily recommend. You’re welcome, I really enjoyed it. p.s. Would you be so kind as to post your review on Amazon and Goodreads. 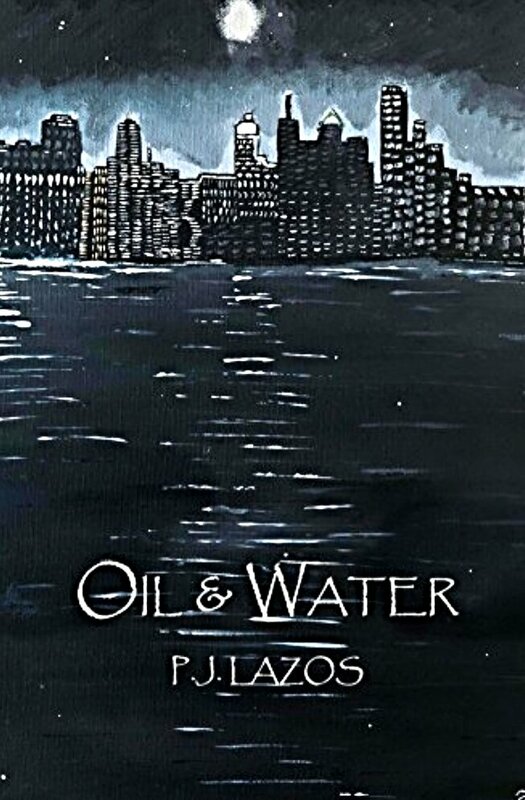 Also, I am going to reformat the Amazon page for Oil and Water with quotes from some reviewers. Do you mind if I some of yours? Thanks again, Dr. and have a great day! Of course I will add my review to Amazon and feel free to quote me.